The International Romani Day is celebrated on April 8 to celebrate Romani culture and raise awareness about the issues they are facing. The day which began in Poland in 1990 continues to be observed today. The day was first officially declared at the site of the fourth World Romani Congress of the International Romani Union (IRU) honouring the first major international meeting of Romani representatives. Romani people are an Indo-Aryan ethnic group living mostly in Europe and the Americas originating from the northern Indian subcontinent, from north-west India, including Rajasthan, Haryana, and Punjab regions of modern-day India. Pakistan Resolution Day 2019: All You Need to Know About The Historical Significance of Pak National Day. 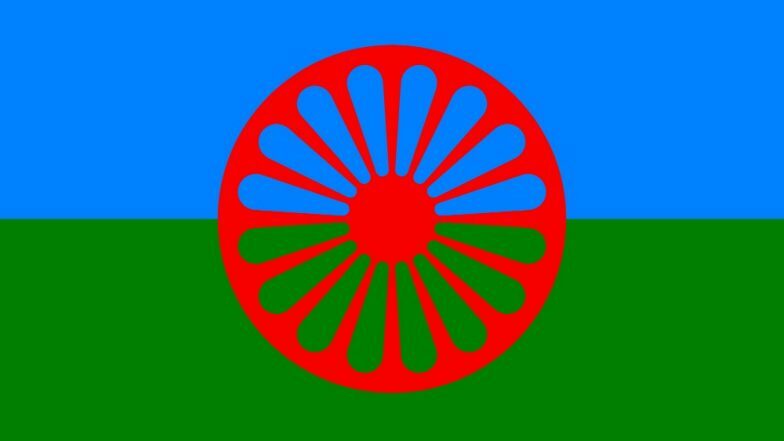 On International Roma Day 2019, the European Roma Rights Centre (ERRC) highlights how Romanis even today remains the most underprivileged ethnic group of Europe. There are six million Roma living in the EU and four million in the enlargement region (Montenegro, Serbia, North Macedonia, Albania, Bosnia and Herzegovina, Kosovo and Turkey). With repeated incidents of racist violence and hate speech, they continue to face discrimination in health care, education, employment, public and social services. The hence also aims at calling the government to take steps to stop issues faced by this marginalised group and include them in civic activities. The day hence highlights the culture and traditions of Romanis who live in different countries across the globe. On Friday, the International Roma Day was celebrated in different parts of the world including Slovenia's Maribor with Roma music, dance, and recitals. Parliament Speaker Dejan Zidan addressed visitors, saying that the occasion was an opportunity for the Roma community to raise awareness about their culture. Commemorating the day, for the first time Romani Slovak Czech Community and Gravesham Borough Council are conducting a concert in Kent. The European Commission's evaluation of the 2011 EU Framework for National Roma Integration Strategies up to 2020 has assessed how Roma Integration Strategies have been implemented across the EU. The Roma Civil Monitor pilot project shows improvements. EU's action has added value to national Roma policies and their implementation through political, governance and financial dimensions. The Commission aims at supporting the inclusion of Roma communities through different projects and funding.